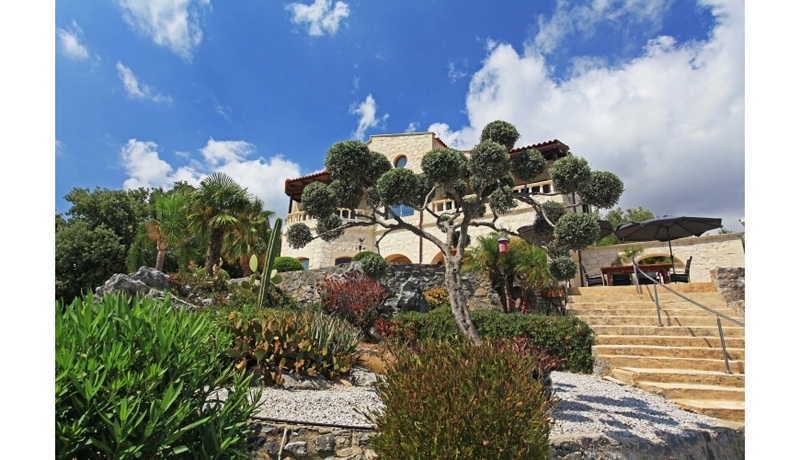 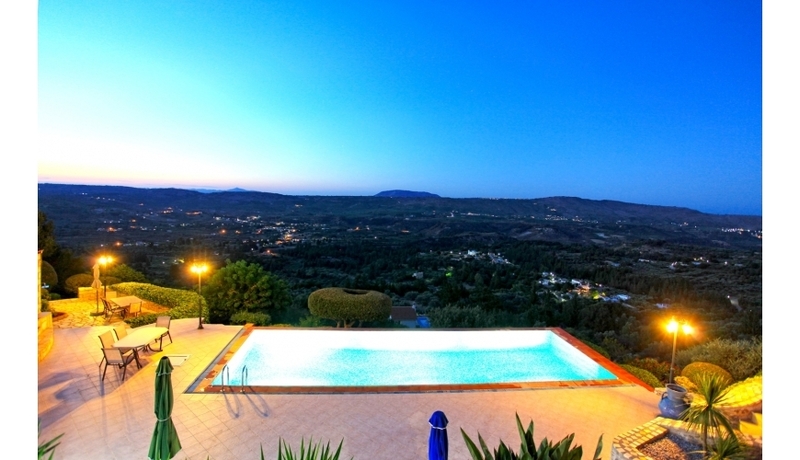 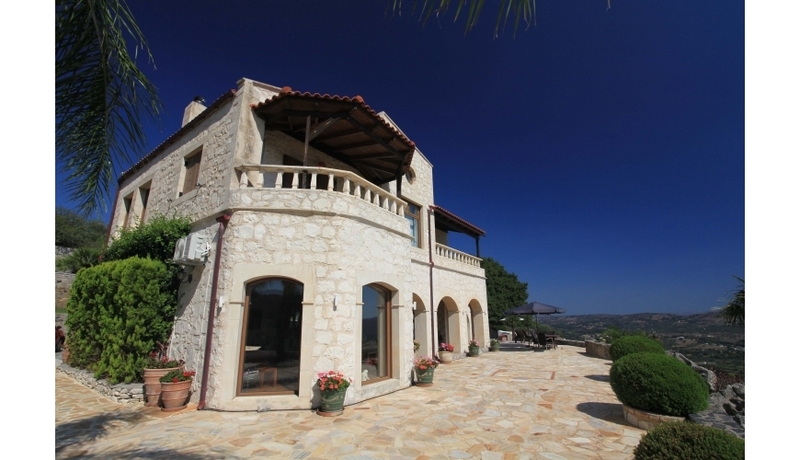 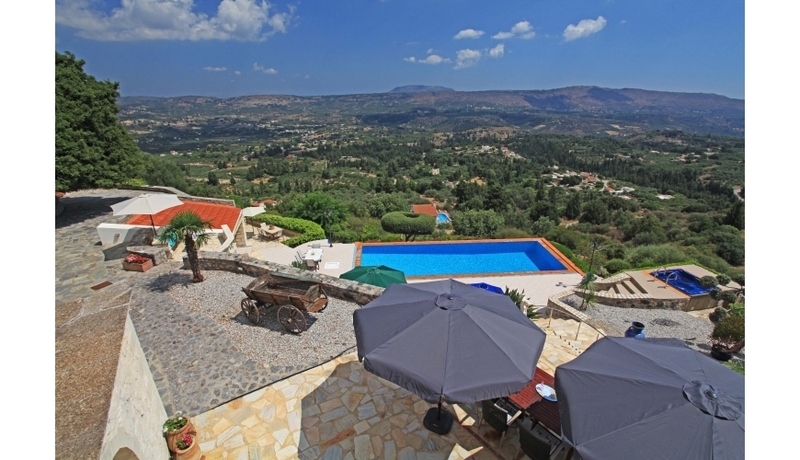 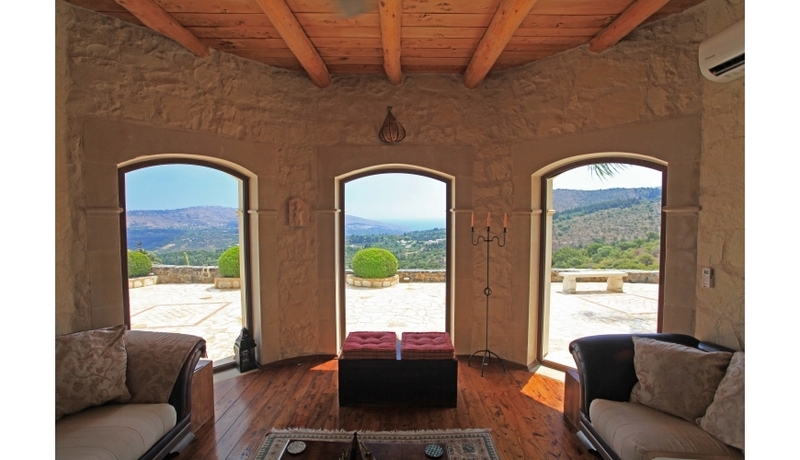 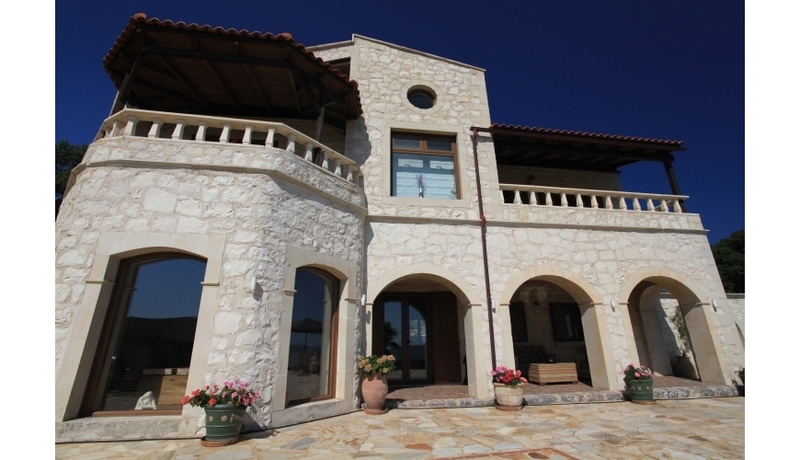 A truly spectacular luxury villa perched on the hillside above the village of Filipos. 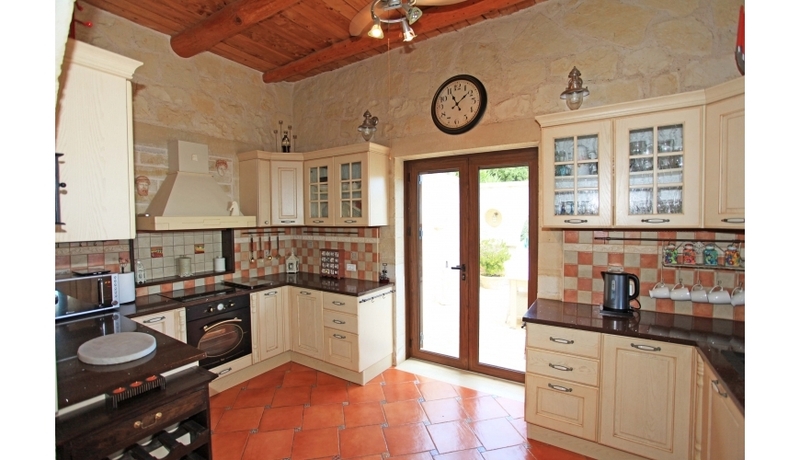 A beautiful blend of traditional local stone and woodwork finished with high quality fixtures and fittings throughout. 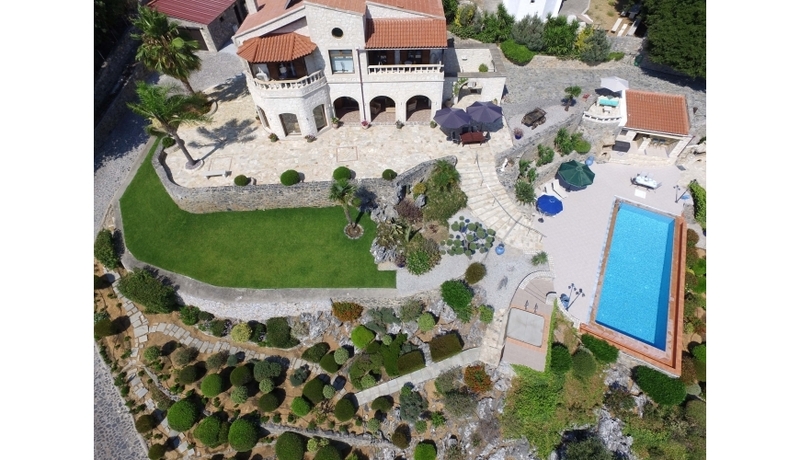 Extensively landscaped gardens,infinity pool,jacuzzi, outdoor summer kitchen and stunning furnishings are just a few of this villas wonderful features. 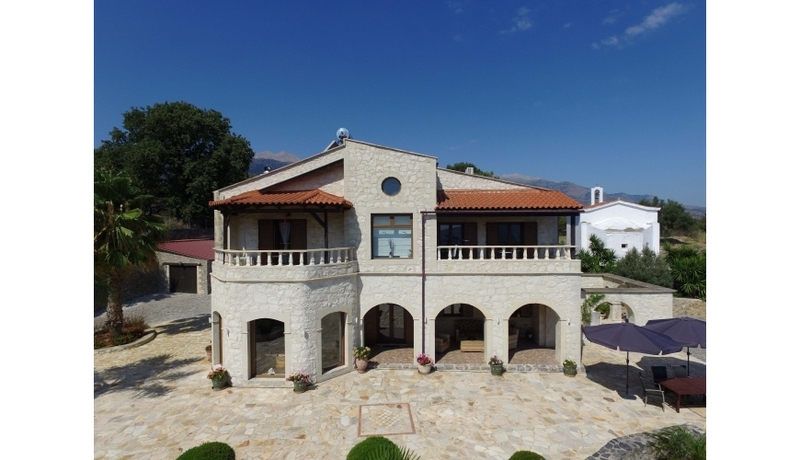 This beautiful villa was completed in 2002 and has been extensively refurbished by the current owners. 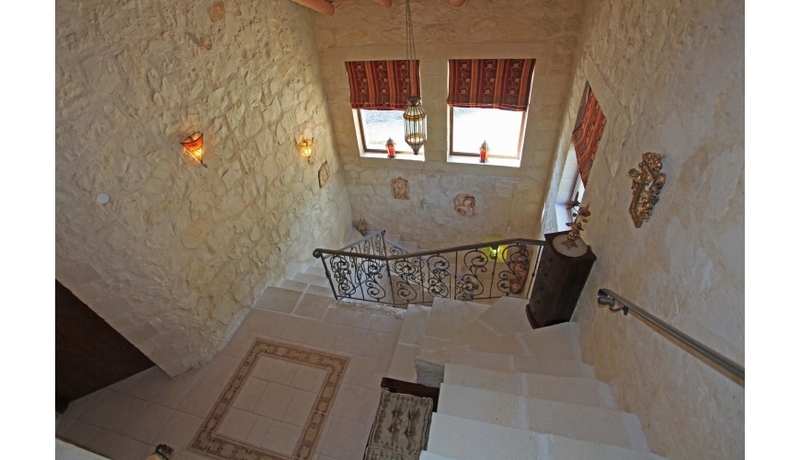 The Moroccan style finish blends perfectly with the traditional stone and woodwork throughout. 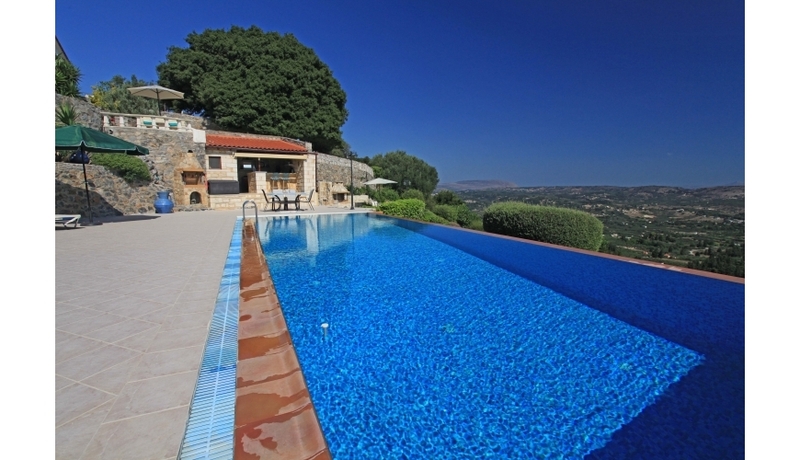 The award winning gardens are stunningly landscaped with a wide variety of mature trees, plants and flowers and are kept in immaculate condition all year round. 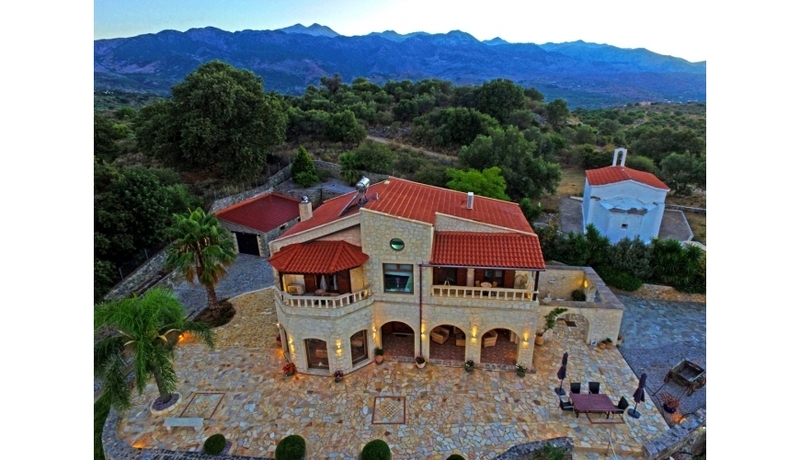 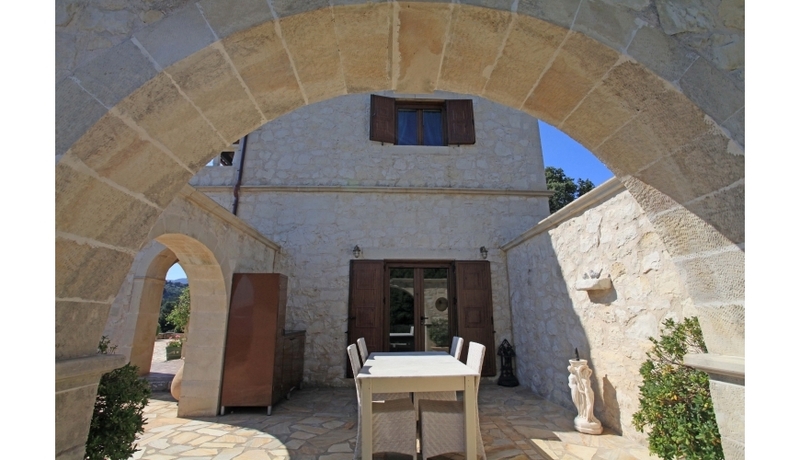 The exterior of the villa is very well designed, entering via the sweeping driveway the villa has ample parking as well as a separate stone built garage. 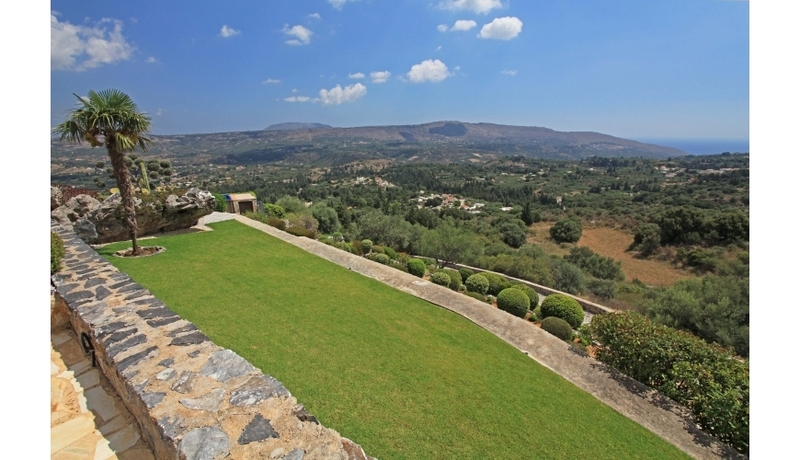 The stunning gardens roll down the hillside in front of the villa and incorporate a wide variety of different seating areas designed to best enjoy the amazing views. 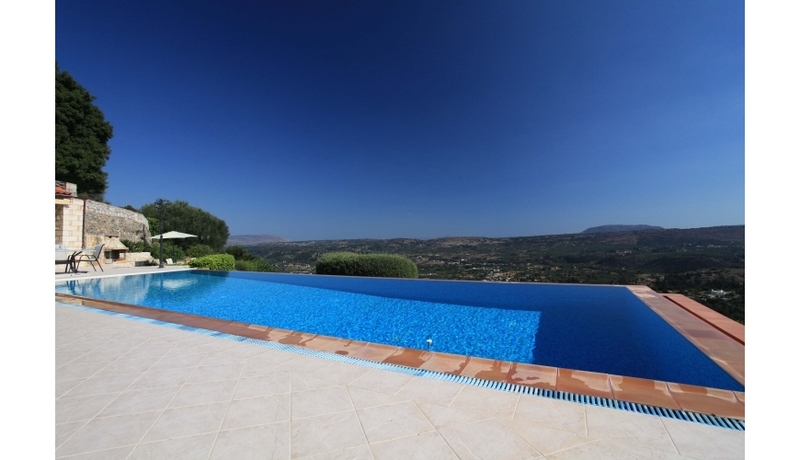 The large pool area has lots of room for sunbathing and a separate jacuzzi area with truly amazing views. 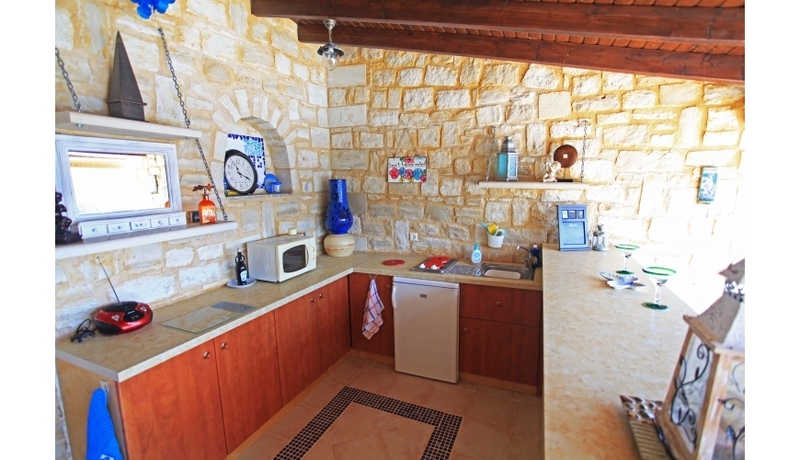 There is an excellent, fully equipped summer kitchen with its own indoor bathroom as well as an outdoor shower area. 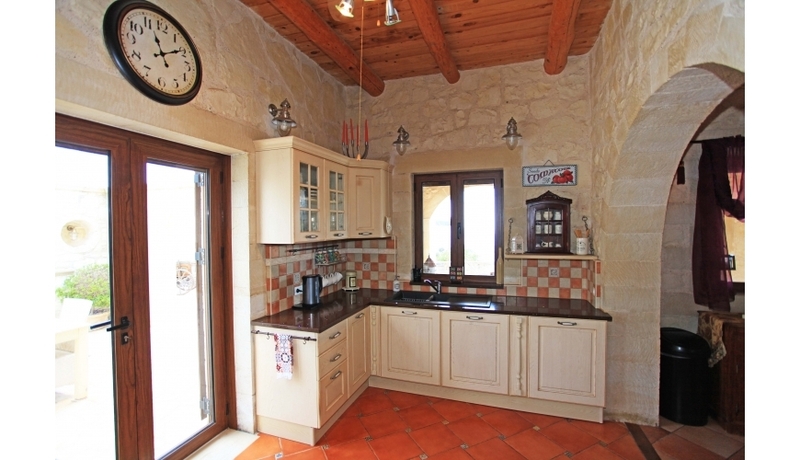 The kitchen has a bar and seating areas and flows out to the outdoor stone built BBQ areas and dining areas. 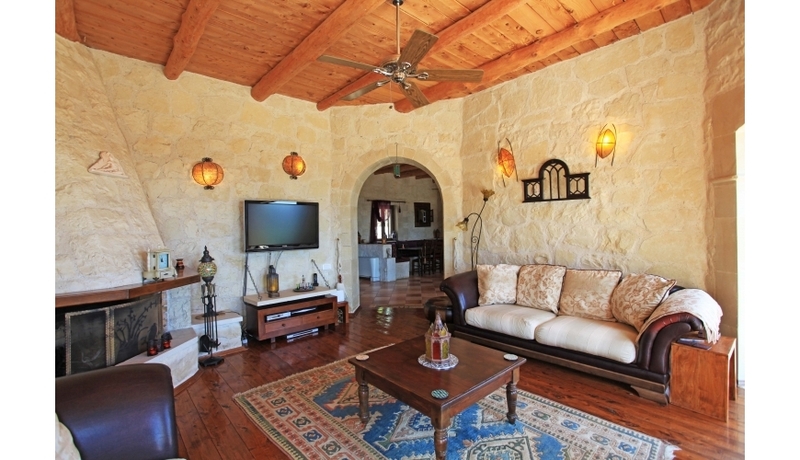 The interior of the villa is just as impressive as you enter into the vast reception hall and dining area with stunning stone seating, archways and wood beamed ceilings. 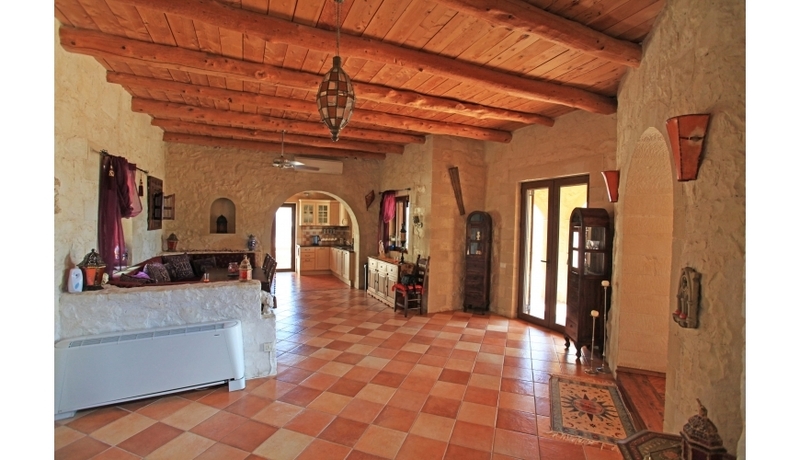 From here, archways lead to the fully fitted kitchen, patio doors lead from here to the cool and shady outdoor dining area surrounded by impressive stone archways.Also on this floor is the uniquely shaped main living area with its feature stone fireplace and triple windows overlooking the garden areas. 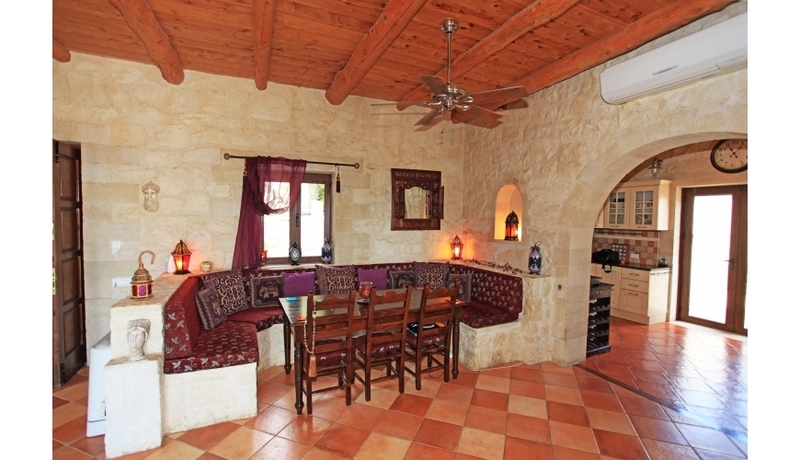 The rear hallway leads to a cloakroom area plus a ground floor bathroom and storage areas. 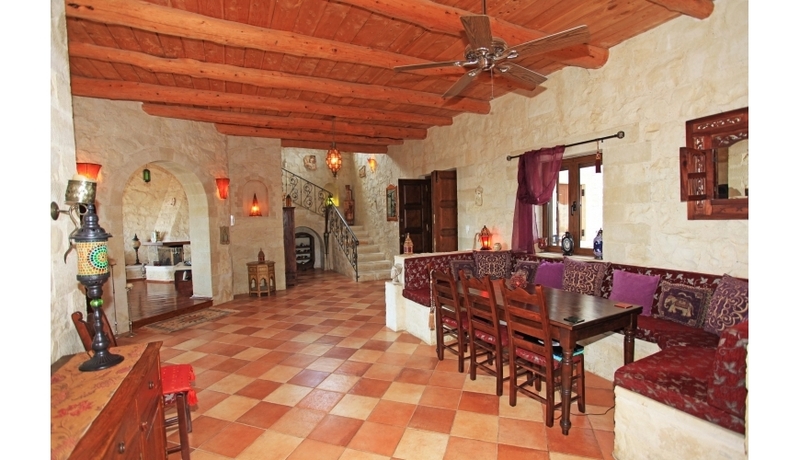 Stone stairs lead to the main upper floor which has 2 spacious double bedrooms all with high wooden ceilings. 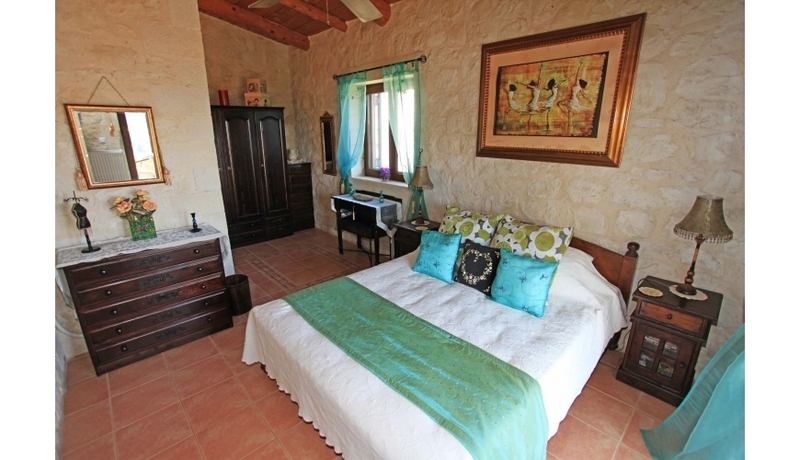 The master bedroom has an en-suite bathroom with full bath, vanity units and even sea views.Patio doors lead to the private balcony area. 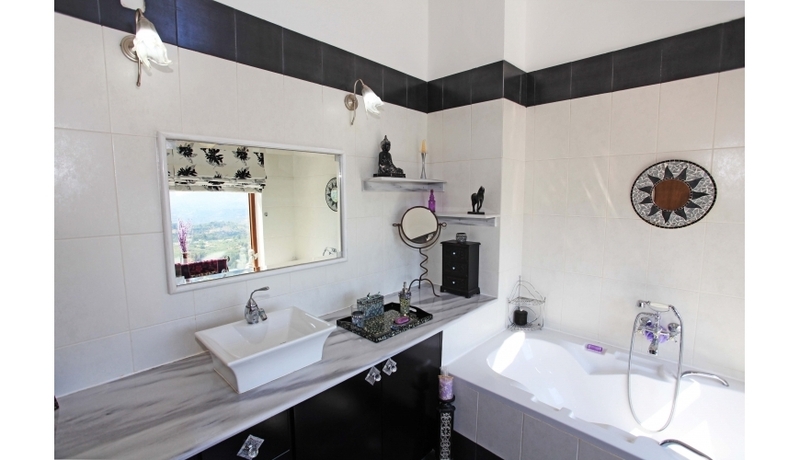 Also on this level, there is an additional shower room with large walk in shower and vanity units. 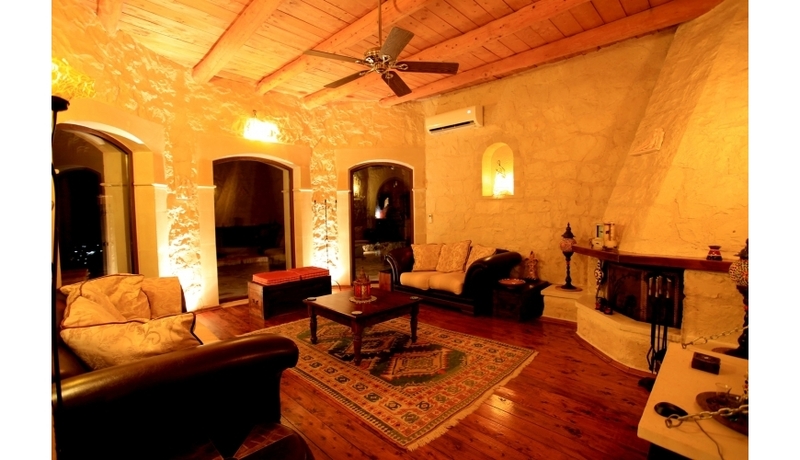 Another staircase leads to the gallery area which has beautiful wooden floors and attractive circular windows, this space is currently used as the 4th bedroom. 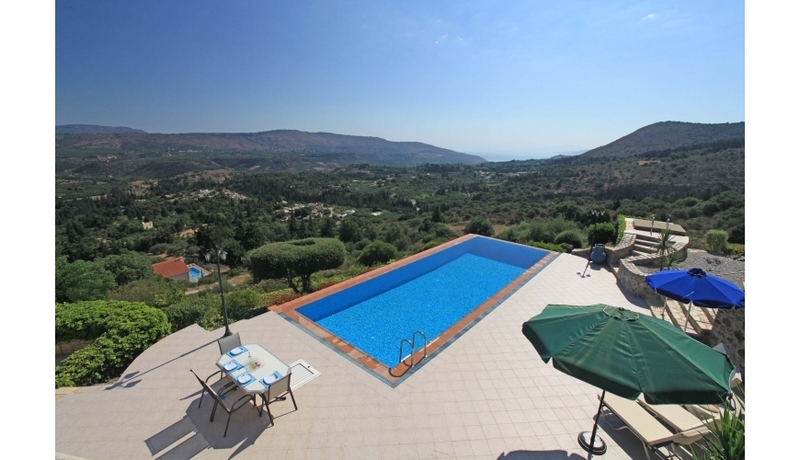 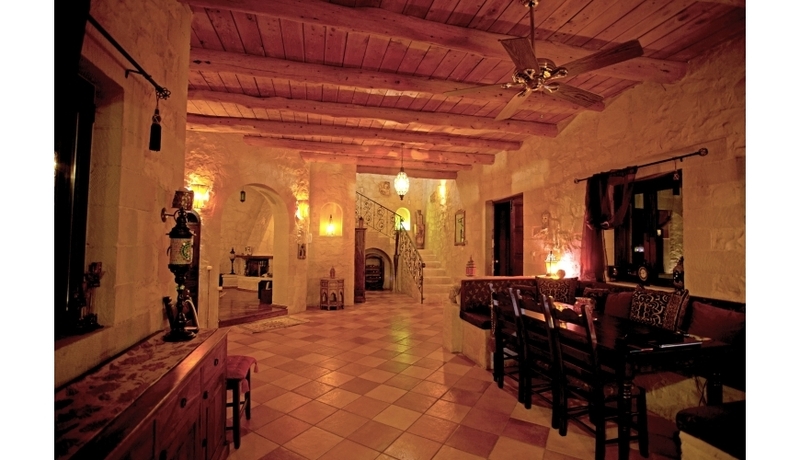 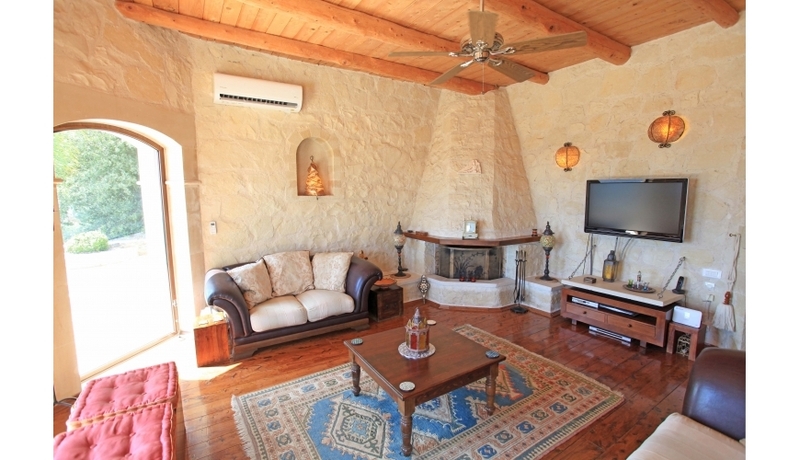 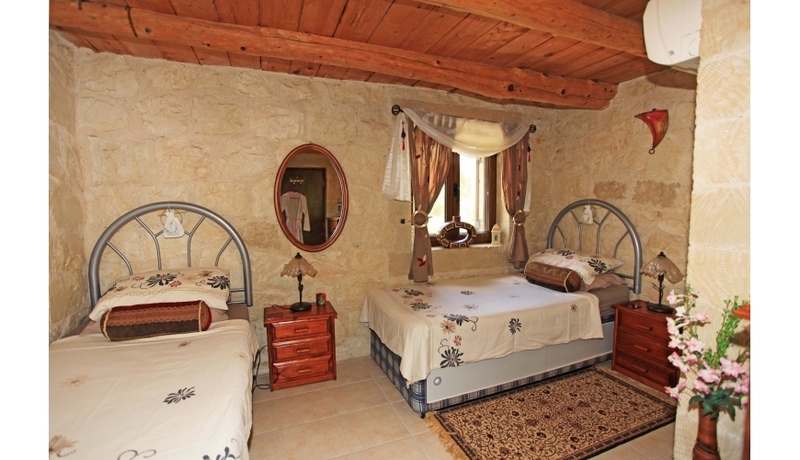 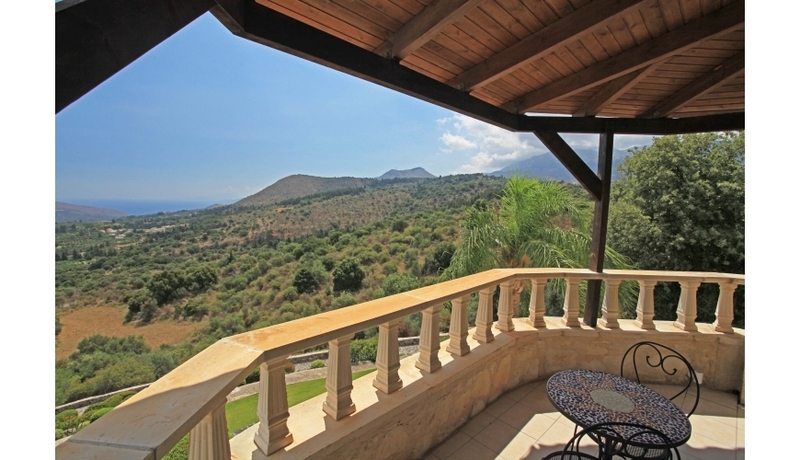 The owners have decorated and furnished the villa with style and great attention to detail. 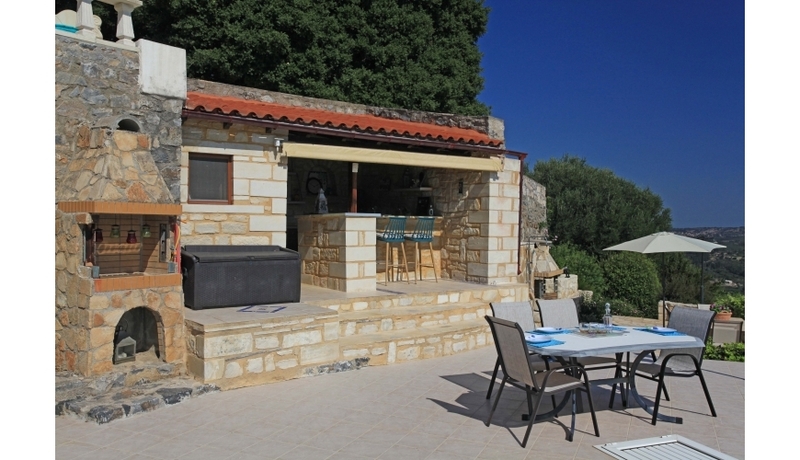 The villa is on offer fully furnished, equipped and ready to enjoy. 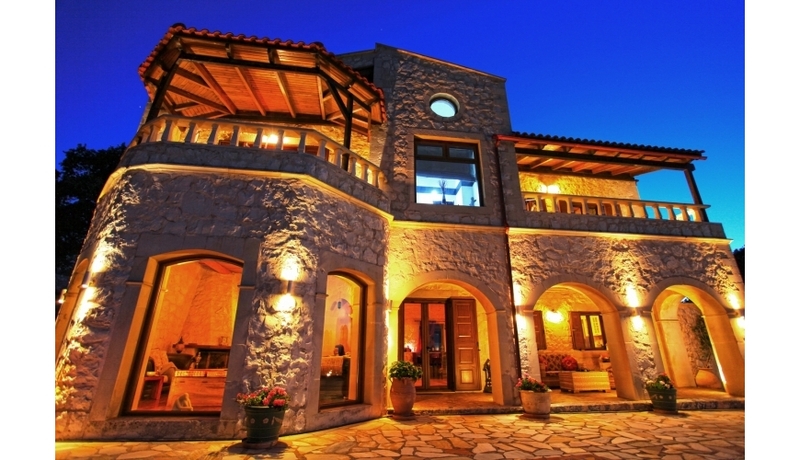 What do you get when you multiply two by three?